Man of many aliases, Flügel is one of electronic music's most accomplished artists, boasting a wealth of releases across many seminal labels. His masterful genre changing productions are complemented by his far-reaching and ever-evolving sets. 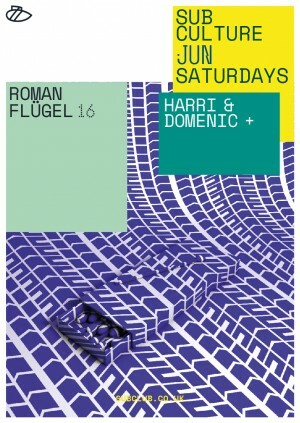 An incredibly suitable pairing with our residents Harri & Domenic, having shared the Sub Club booth in the past including Subculture's 18th birthday as well as summer last year. Time does fly.